Find your answers below. If you can't find them, then please visit How It Works for video tutorials or Contact Us for other inquiries. MY ACCOUNTHow do I create an account?Why do I need to create an account?Do I have to pay to use Healthy Meal Plans?How do I change my email address?How do I change my password?BROWSE RECIPESHow do I access my Favorites list?How do I add a Recipe to my Meal Plan?MEAL PLANSHow do I add a Recipe to my Meal Plan?Can I add more than one recipe to a single Meal?Can I see my total calories for each day?Can I add my own recipe to a Meal Plan?How do I delete a Meal Plan?SUBSCRIPTION MEAL PLANSHow can I access my Subscription Meal Plans?Can I make changes to my Subscription Meal Plans?SHOPWhere can I purchase a Subscription Meal Plan?Where can I find my Purchase History?Is my credit card information safe?GROCERY LISTSWhy do I need to set the Number of Servings before I can create a Grocery List?Can I add additional items to my Grocery List? How is the nutritional information for each recipe calculated?Are the calories listed per serving?Are the Subscription Meal Plans nutritionally balanced?What diet types does Healthy Meal Plans cater to?How many calories should I be consuming each day? I’m Vegetarian. Is Healthy Meal Plans for me?I’m Vegan. Is Healthy Meal Plans for me?I’m Pescatarian. Is Healthy Meal Plans for me?I’m Gluten-Free. Is Healthy Meal Plans for me?I’m Dairy-Free. Is Healthy Meal Plans for me?I’m Nut-Free. Is Healthy Meal Plans for me?Are oats gluten-free?Is soy sauce gluten-free?Is Parmesan cheese vegetarian?Is Worcestershire sauce vegetarian/vegan?Is Worcestershire sauce gluten-free?Can I substitute dairy milk for almond or soy milk? 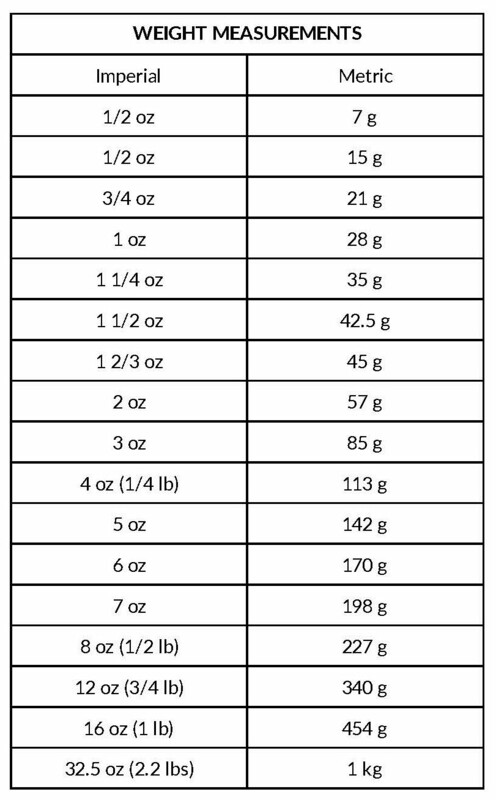 I would like to see metric measurements.I adjusted the Number of Servings in a recipe and the measurements are a little odd. What’s up?How are Prep Times and Cook Times calculated? Simply click on the Sign Up button on the top right corner of the screen. On mobile, click the Profile icon. Creating an account allows you to access the Meal Plan and Grocery List tools. Having an account allows you to Save your weekly Meal Plans and Grocery Lists so you can revisit them at a later date. Having an account also allows you to make purchases on the site and manage your Subscription Meal Plans. Do I have to pay to use Healthy Meal Plans? We’re very proud to be able to offer the Healthy Meal Plans site FREE for users. You can browse recipes, create custom Meal Plans and generate Grocery Lists for absolutely no charge. If you’d like to upgrade your experience, we offer several Subscription Meal Plan Bundles that were specially developed by our in-house dietitian. They can be accessed by clicking the Shop button in the navigation bar. You can change your email address in the My Profile section. Simply click My Profile, enter a new email address and press Update. You can change your email address in the My Profile section. Simply click My Profile, enter a new password and press Update. How do I access my Favorites list? Your Favorites can be accessed in Browse Recipes section. Click the Favorites button along the top search bar and only your Favorites will be viewable. Click Clear to clear your selections and view all recipes again. How do I add a Recipe to my Meal Plan? Simply click the below the recipe and you’ll be prompted to select which Meal Plan you’d like to add a recipe to. You’ll then be redirected to that Meal Plan and be able to drag and drop the Recipe into any Day or Meal you’d like. You can add a Recipe to more than one Day and Meal. Simply select the Recipe you’d like to add and drag and drop it into any Day or Meal within the Meal Plan. You can add a Recipe to more than one Day and Meal. Can I add more than one recipe to a single Meal? Yes, you can add as many recipes as you want to a single Meal. Can I see my total calories for each day? Yes, you can see your total calories for each day at the bottom of your Meal Plan. Can I add my own recipe to a Meal Plan? Yes, you can add your own recipe to a Meal Plan. Scroll to the bottom of the Meal Plan page and select Add Your Own Recipe from the left side of the page. Enter the Recipe Title and Calories Per Serving. When you generate your Grocery List you will have the option to add the necessary ingredients for your own recipes. Meal Plans can be deleted in your account settings. Simply click My Meal Plans to access your full list. Click the Delete icon to remove a Meal Plan. Keep in mind that this action cannot be undone. How can I access my Subscription Meal Plans? Subscription Meal Plans can be accessed in the drop down menu on the Meal Plans page or by clicking My Meal Plans. Can I make changes to my Subscription Meal Plans? Absolutely. If you’d like to add, subtract or swap recipes in a Subscription Meal Plan, you simply need to rename it and then you can customize it as much as you like. Renaming it prevents the Subscription Meal Plan from being accidentally overwritten, so you can come back to it week after week if you wish. Where can I purchase a Subscription Meal Plan? If you’d like to upgrade your experience, we offer several Subscription Meal Plans Bundles that were specially developed by our in-house dietitian. They can be accessed by clicking the Shop button in the navigation bar. A detailed Purchase History is available in the My Profile section. Simply click My Profile and then Purchase History. All of the purchases made on the Healthy Meal Plans site are facilitated by Shopify which is extremely secure and considered one of the safest ways to shop online. We do not store your credit card information on the site. Why do I need to set the Number of Servings before I can create a Grocery List? Each recipe on the Healthy Meal Plans site makes a specific number of servings. Before you generate a Grocery List, you have the option to adjust the number of servings so that you’ll only buy what you need at the supermarket. If you’d like to skip this step, simply click NEXT and the default number of servings for each recipe will be used in your Grocery List. Can I add additional items to my Grocery List? For sure! We wanted the Grocery List tool to be as useful as possible, so you can add as many additional items to your Grocery List as you’d like. Grocery Lists can be saved and the accessed later for additional convenience. How is the nutritional information for each recipe calculated? We have worked very hard to ensure that all of the nutritional information on Healthy Meal Plans is accurate and up to date. The analysis for each recipe is done by our amazing in-house dietitian with a reputable nutrition analysis software program called ESHA. If you have questions about the nutritional information for a specific recipe, please feel free to Contact Us. Are the calories listed per serving? All of the calorie counts on the Healthy Meal Plans site are displayed per serving. Are the Subscription Meal Plans nutritionally balanced? Each Subscription Meal Plan has been carefully developed by our in-house dietitian to provide balanced nutrition for most healthy adults. For example, special attention was given to the meal plans to provide adequate protein and micro nutrients of concern for each diet type. Of course, nutrition requirements can vary from person to person depending on their age, gender, weight, level of physical activity, dietary restrictions, and overall health. Subscription Meal Plans can be adjusted and customized to suit your individual needs and dietary requirements. What diet types does Healthy Meal Plans cater to? Omnivore: These meal plans include both animal-based and plant-based foods with no dietary restrictions. Pescatarian: The pescatarian recipes and meal plans include plant-based foods, fish, eggs, and dairy. Vegetarian: The vegetarian recipes and meal plans focus on plant-based ingredients, with the inclusion of dairy and eggs. Vegan: The vegan recipes and meal plans are plant-based, and exclude all meat, poultry, fish, dairy products, eggs and animal by-products such as honey. Gluten-Free*: Gluten is a name used to describe specific proteins in certain grains. Our gluten-free recipes and meal plans exclude wheat, barley, rye, and related cereal grains such as spelt or kamut. **Important: For those with gluten intolerance or sensitivity, certified gluten-free oats are considered safe for the majority of people. However, some individuals may not be able to tolerate oats. Before introducing oats into your diet, it is important to discuss this with your Registered Dietitian and Doctor. How many calories should I be consuming each day? The number of calories an individual should consume each day can vary based on their age, gender, weight, level of physical activity, overall health, and goals. The most accurate method to determine an individual's daily calorie needs is through a lab test called indirect calorimetry. However, because most people do not have access to this test, calorie requirements can be estimated through energy equations. I’m Vegetarian. Is Healthy Meal Plans for me? Yes! We designed Healthy Meal Plans for everyone - no matter what their dietary preferences. All of the recipes on the site can be filtered based on your specific needs; just click the Filters button in the Browse Recipes section. We also offer a 4 Week Vegetarian Meal Plan specifically developed for our vegetarian users. You can access it here. I’m Vegan. Is Healthy Meal Plans for me? We also offer a 4 Week Vegan Meal Plan specifically developed for our vegetarian users. You can access it here. I’m Pescatarian. Is Healthy Meal Plans for me? We also offer a 4 Week Pescatarian Meal Plan specifically developed for our vegan users. You can access it here. I’m Gluten-Free. Is Healthy Meal Plans for me? We also offer a 4 Week Gluten-Free Meal Plan specifically developed for our gluten-free users. You can access it here. I’m Dairy-Free. Is Healthy Meal Plans for me? I’m Nut-Free. Is Healthy Meal Plans for me? Oats are inherently gluten-free but they are sometimes processed in the same facility as wheat so if you suffer from a gluten allergy or simply prefer to avoid gluten, it’s important to check the packaging to ensure that the oats you’re consuming were produced in a gluten-free facility. For those with gluten intolerance or sensitivity, certified gluten-free oats are considered safe for the majority of people. However, some individuals may not be able to tolerate oats. Before introducing oats into your diet, it is important to discuss this with your Registered Dietitian and Doctor. Most soy sauce contains gluten unless otherwise specified on the bottle so we’ve left soy sauce out of our gluten-free recipes. Soy sauce can always be replaced with gluten-free tamari in any recipe that calls for it. Parmesan cheese is typically made with rennet which is an animal product so it is not considered vegetarian. As a result, we have not included any recipes that call for Parmesan cheese in our vegetarian or vegan recipes. There are now vegan Parmesan alternatives on the market that can be swapped in if you want to replace it in an otherwise vegetarian recipe. Worcestershire sauce is often made with anchovies so it is not recommended in a vegetarian or vegan diet. That said, there are several vegan Worcestershire sauces now available. Worcestershire sauce is often made with malt vinegar or soy sauce so it is not considered gluten-free. That said, there are several gluten-free Worcestershire sauces now available. Can I substitute dairy milk for almond or soy milk? Absolutely. In most recipes on the site, dairy milk can be easily substituted for almond or soy milk. I would like to see metric measurements. Currently, all of the measurements used on the Healthy Meal Plans site are in imperial measurements. We are working on adding the option for metric measurements as well. We’ll keep you posted when this feature becomes available. I adjusted the Number of Servings in a recipe and the measurements are a little odd. What’s up? We felt that it was really important for the Number of Servings to be adjustable since everyone cooks for a different number of people. That said, recipe conversion isn’t always the easiest process. We’ve done our very best to ensure that our recipe conversions are as accurate as possible but every once in a while, there is an unavoidable hiccup. For example, if a recipe serves 6 people and calls for 1 large egg, then reducing that recipe to 2 servings would require 1/3 large egg which isn’t the most practical measurement. In cases like this, we’ve rounded up. How are Prep Times and Cook Times calculated? All of the Prep and Cook Times on the Healthy Meal Plans site are approximate and can vary based on kitchen experience, tools, and the type of cooking appliances being used.